A classic text, Chamberlain's Symptoms and Signs in Clinical Medicine has been providing students and professionals with a detailed and well-illustrated account of the symptoms and signs of diseases affecting all the body systems since the first edition published in 1936. Now completely rewritten by a new team of authors selected for their experience and reputation in writing quality publications in their specialist fields, the 13th edition brings the title into line with current teaching and practice. One of the key challenges of writing a textbook of diagnostic medicine is to balance the "bottom up" approach of constructing a differential diagnosis from individual clinical findings, and the "top down" approach of learning the key features pertaining to a particular diagnosis. 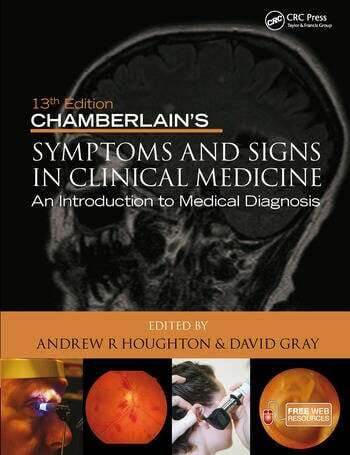 The 13th edition of Chamberlain's Symptoms and Signs in Clinical Medicine integrates both approaches into a coherent working framework that will assist the reader in preparing for academic and professional examinations, and in everyday practice. Presented in full colour and illustrated with relevant images, this book provides a thorough lesson in diagnostic medicine, ensuring the reader is fully prepared to deal with the challenging process of differential diagnosis through a thorough knowledge of the central features of the conditions that they are likely to encounter.